Humanity’s current understanding of physics may suggest faster-than-light travel is impossible, but researchers here on Earth can still observe happening in places much too far away to ever actually visit (and generally only what they looked like in the distant past). 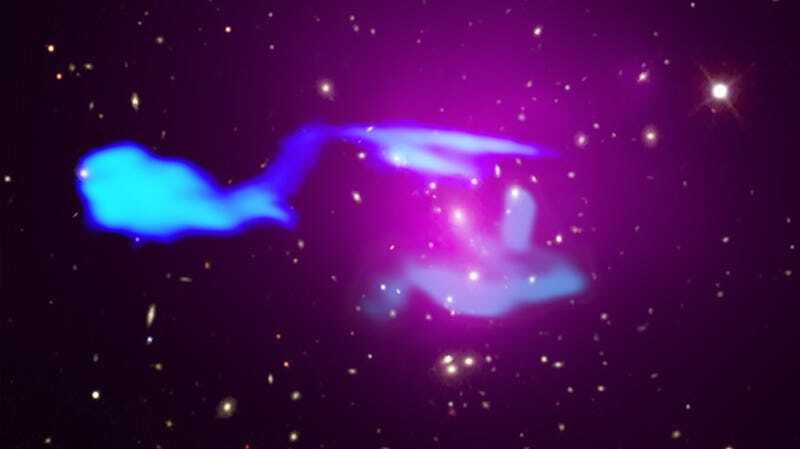 One of them is a galactic collision that, at least from our planetary vantage point, looks an awful lot like a craft going where no man has ever gone before. Researchers with Leiden University, the Institute of Radio Astronomy, the University of Hamburg, and the Max Planck Institute for Astrophysics have published their findings in Science Advances.